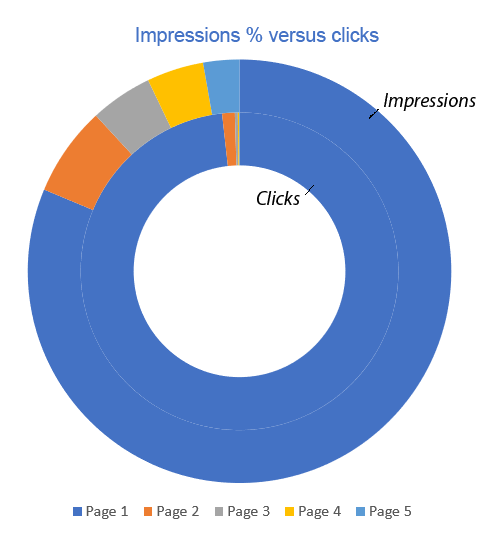 The average click through rate for page one of Google is just under 9%, according to our extensive data analysis. Compare this with 1.4% on page two of the results and 0.47% on page three. Vertical Leap analysed the impressions and clicks of millions of search queries across almost 200 websites to compile stats for the top 50 positions, which you can see here. Wouldn’t you love to predict how much traffic you are likely to get if you achieve a better ranking? If you rank on page two of Google for your most important search term, how much more traffic would you get if you get on to page one? What is the difference between the top of page one and the bottom? 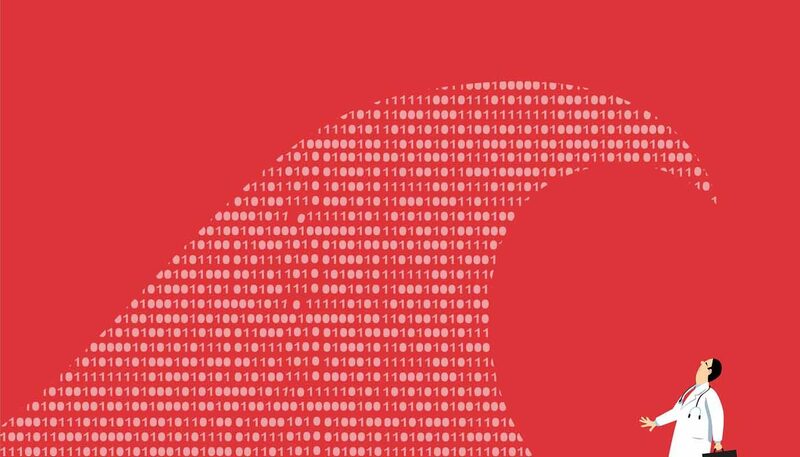 We used our machine learning platform Apollo Insights to collate the impressions, average positions and number of clicks over a three year period for 9.7 million distinct search queries. Some of the queries have been tracked for fewer than three years, and many of the queries only appear on a small sample of the websites in our database. So, this is a broad brush approach to garnering averages, but the numbers are so large that we have confidence in the benchmarks we have produced. Let’s start by boiling the results down to the top five result pages. In the charts above, you can see that page one accounts for 98% of clicks, but 81% of the impressions – this is detailed more closely in the chart below. Breaking down the first page of results into three sections, we can also see the CTR for those three areas of page one. 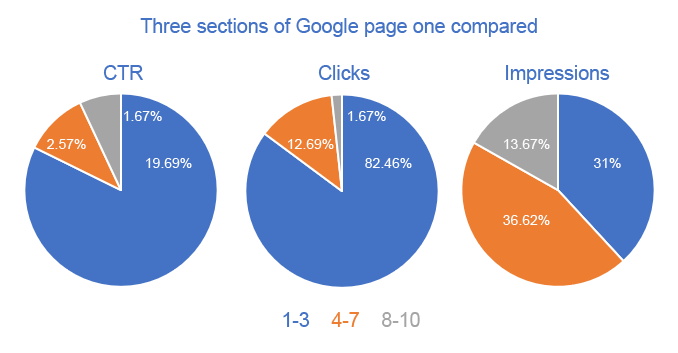 These pie charts show the relationship between CTR, clicks and impressions in the three areas of page one. The metrics relate to all traffic across the top five pages. 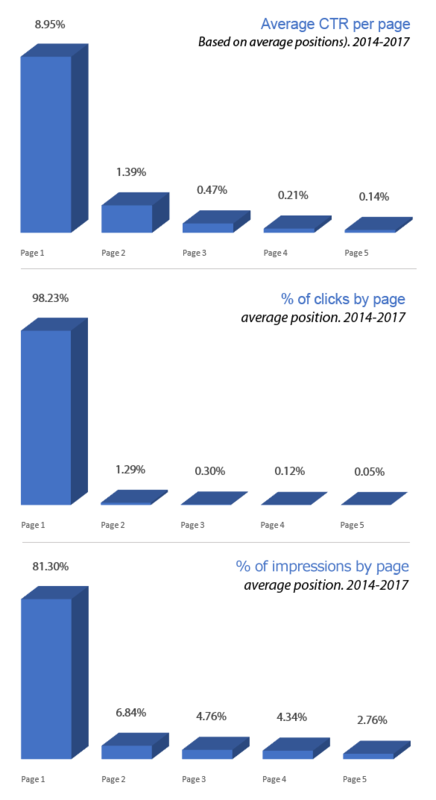 Look at the difference between CTR in positions 1-3 and the CTR for the whole of page one (listed above at 8.95%). This shows the importance of the top three results. Here’s the table showing the full statistics across the top 50 positions of Google. Remember, this is based on average positions reported by Google Search Console for thousands of search queries over a three year period across nearly 200 websites. 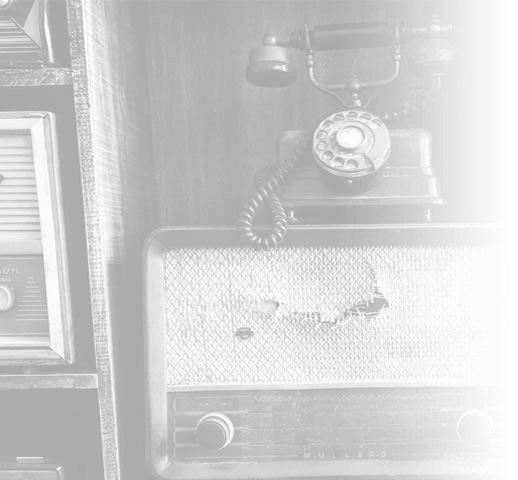 Using volume for search queries, you can identify the potential for any search query based on its current position. If you get visibility for a commercially valuable query at an average position of 30, and you know the monthly volume for that query, you can calculate how much more traffic you are likely to achieve if you get on to page one, at different positions. Couple this with your conversion rate and you could forecast the financial value of that additional traffic. See how we did something similar to boost sales of flowers for a customer.